MUSIC UNITES’ FIRST GUITAR WORKSHOP AT WAE WITH THIBAULT CAUVIN! Music Unites’ first guitar workshop at the Women’s Academy of Excellence was led by Thibault Cauvin. 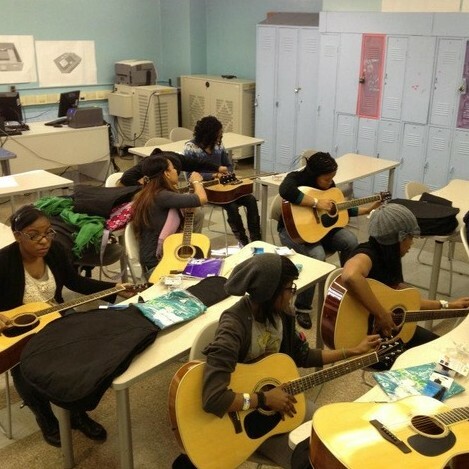 A very special thank you to the D’Addario Foundation, who has been instrumental in jump-starting the Music Unites Guitar Program, bringing free guitar instruction into schools!